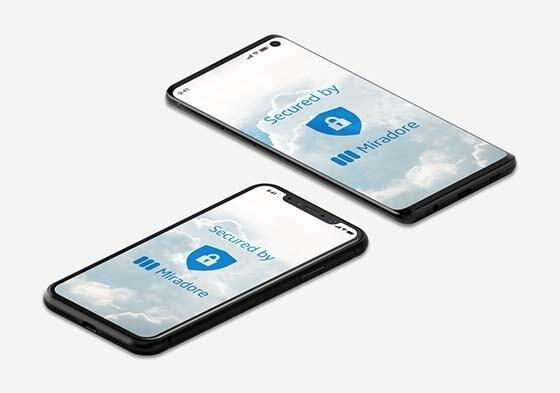 Miradore Online is the best choice for mobile device management if you are looking for an easy-to-use, affordable, and effective product for managing iOS and macOS devices remotely. Get started easier and faster than you would with any other product on the market, saving up to 30 minutes per device. We support all major operating systems—Android, iOS, Windows, and macOS. Ensure data security and compliance by enforcing safe passcodes, screen locks, work profiles, containers, and emails, and encrypt all confidential content. Miradore has developed a defense against the most common cyber threats. This is not intended to be a silver bullet for all forms of cyber threats, but rather a first step for smaller organizations to protect themselves in cyberspace. Miradore’s restriction profiles help you increase productivity and ensure data security and data compliance across the organization. Use Miradore Business Policies to automate the deployment of restriction and configuration profiles to your devices. Miradore automatically and silently installs all apps and configures settings on your new devices based on user profiles. Separate business data from personal data. Make sure your business contacts or other data don’t leak through to a user’s personal apps. Gain control of configurations and installations and restrict the use of device functionalities and applications. Any apps needed are pre-approved by the IT administrator and installed silently. With the Apple Device Enrollment Program, you can automate and enforce the enrollment of your devices. The device user cannot remove the device management profile from the device. This ensures that your devices will remain under control and protected. Miradore supports Apple’s Volume Purchasing Program (VPP) to buy and install apps for users silently. Buy all of your licenses in one place, then distribute and revoke them as necessary. YoungCapital, one of the largest recruitment technology firms in Europe, realized it needed a solution for iOS management. Some employees were changing sim cards, and there was no complete knowledge of the phone’s ownership or whereabouts. YoungCapital finds Miradore easy to use, with attractive pricing. “Facilitating the software setup is key to both the employee’s working experience and the operational success of the company. With Miradore, we saved 200 hours annually on setting up iPhones,” says Remon Van der Doorn of YoungCapital. Read more about Miradore and YoungCapital here.